Braemorlich at Glenkindie Estate Holiday Cottages in Glenkindie, near Alford, Aberdeenshire sleeps 5 people. Glenkindie Estate Holiday Cottages near Alford is blissfully set on the Glenkindie Estate, an active sporting and agricultural estate; these four lovely properties make ideal family getaways at any time of year. Brow Cottage (ref UK5512 [Brow Cottage]), a detached former gamekeepers house is situated on the lower part of the estate, half a mile from Tornahatnach, and has been lovingly converted into a super family home. There is a lovely bay window in the living room overlooking the extensive private garden and immediate grounds surrounding the house. The fully enclosed rear garden is ideal for younger members of the family or pets, while inside, the big family kitchen is the hub of the house where guests can gather to chat about the day’s events over a glass of wine or a meal. Winding your way up a private track through the magnificent Glenkindie Estate, you will happen upon Tornahatnach (ref UK5177 [Tornahatnach]), a charming 19th century detached cottage which has been lovingly converted into a fine holiday home. Braemorlich (ref UK10381) is a modern and extremely cosy, detached cottage with stunning, elevated views over the surrounding farmland towards the Glenkindie and village of Towie. Situated along a rough track, it lies approximately 1½ miles from the other properties on-site. With numerous walks from the doorstep, this is a real peaceful retreat for couples or families with plenty of space around. Home Farm Cottage (ref UK10382 [Home Farm Cottage]) is in the heart of the estate and forms the wing of a lovely converted clock tower steading. Just 330 yards from Brow Cottage, with its own private garden, guests can enjoy the comings and goings of this sporting farm estate. Inside, the rooms are spacious and very well furnished and guests can explore their delightful surroundings with ease. Home Farm Cottage, Tornahatnach and Brow Cottage are conveniently located within walking distance of each other. Glenkindie Estate is set amongst glorious scenery at the edge of the stunning Cairngorms National Park, where there are wonderful views in all directions. To the southeast is Royal Deeside, home to many fine castles including Balmoral Castle and several National Trust for Scotland properties. Kildrummy Castle and Gardens is also within easy reach and makes for a great day out. In late summer, the world-famous Braemar Gathering and Highland Games are well worth a visit, and for those who enjoy mountain sports, there are exceptional opportunities as many of the finest Munros (mountains over 3000ft) are found here. The annual Lonach Highland Gathering is also held locally. The Lecht nearby offers seasonal skiing and snowboarding when the conditions permit, and there is easy access to the famous Whisky Trail. The surrounding hills offer the perfect terrain for mountain bikers as well as many road-based cycle routes, whilst golfers can enjoy some lovely golf courses nearby, where visitors are always welcome. Riding in the area offers spectacular treks, and there are numerous wonderful walks available to take through this breathtaking countryside. Whatever time of year you come, there will always be things to see and do. The pretty market town of Alford nearby has a good selection of shops and eateries. You will find the shop 1½ miles from Glenkindie Estate Holiday Cottages near Alford, with the pub and restaurant 5 miles from Glenkindie Estate Holiday Cottages. Braemorlich can be booked together with Brow Cottage (ref UK5512 [Brow Cottage]), Tornahatnach (ref UK5177 [Tornahatnach]) and Home Farm Cottage (ref UK10382 [Home Farm Cottage]) to sleep up to 21 people. Braemorlich is all on the ground floor. Living area: With wood burner, Freesat Smart TV and DVD player. Kitchen area: With electric oven, electric hob, microwave, fridge, freezer, dishwasher and washer/dryer. Living room: With Freesat Smart TV and single sofa bed. Oil central heating, electricity, bed linen, towels, Wi-Fi and logs for wood burner included. Travel cot and highchair. Welcome pack. Large, enclosed lawned garden with sitting-out area and garden furniture. Grounds (shared with other properties on-site). On-site fishing available (at cost, by prior arrangement). 2 dogs welcome, to be kept on a lead at all times (working farm). Private parking for 4 cars. No smoking. Please note: The property has a natural water supply from a spring. Holidays at Braemorlich, Glenkindie Estate Holiday Cottages run from Monday to Monday. Pets allowed at Glenkindie Estate Holiday Cottages - Braemorlich. For a better idea of where Glenkindie Estate Holiday Cottages - Braemorlich is, you can see Glenkindie Estate Holiday Cottages - Braemorlich on the map below. 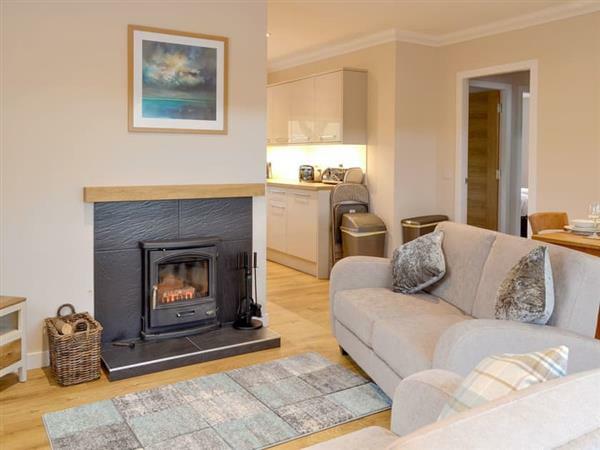 Glenkindie Estate Holiday Cottages - Braemorlich is in Aberdeenshire; should you be on the lookout for a special offer, you can find all the special offers in Aberdeenshire. It's always worth checking to see what is on offer at the moment. 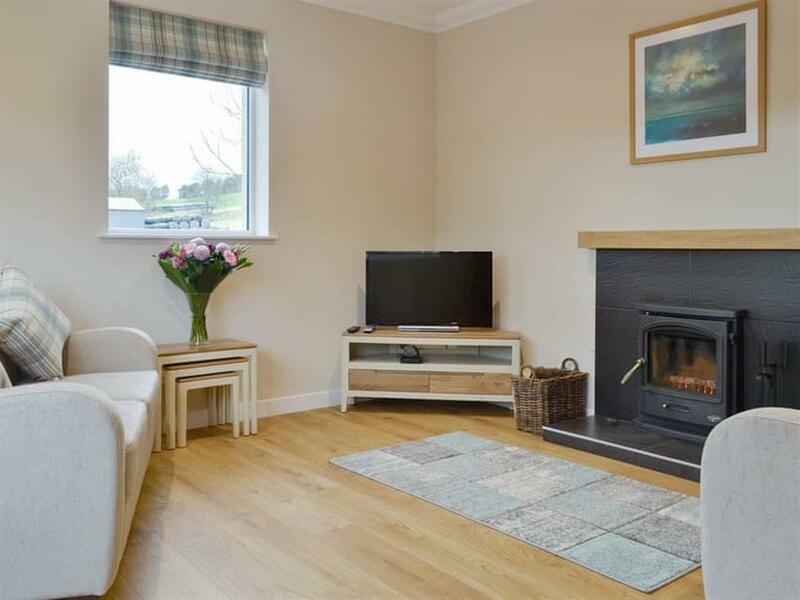 Do you want to holiday near Glenkindie Estate Holiday Cottages - Braemorlich (UK10381), you can see other cottages within 25 miles of Glenkindie Estate Holiday Cottages - Braemorlich; have a look to find your perfect holiday location.